Vladimir Putin has said he believes hackers from the USA could have framed Russia after the American presidential election was targeted last year. The Russian President said he could “imagine” that American cyber-criminals were behind the attacks, then the finger was pointed at Moscow. In an interview with NBC News anchor Megyn Kelly, Putin said: “Hackers can be anywhere. They can be in Russia, in Asia… even in America. 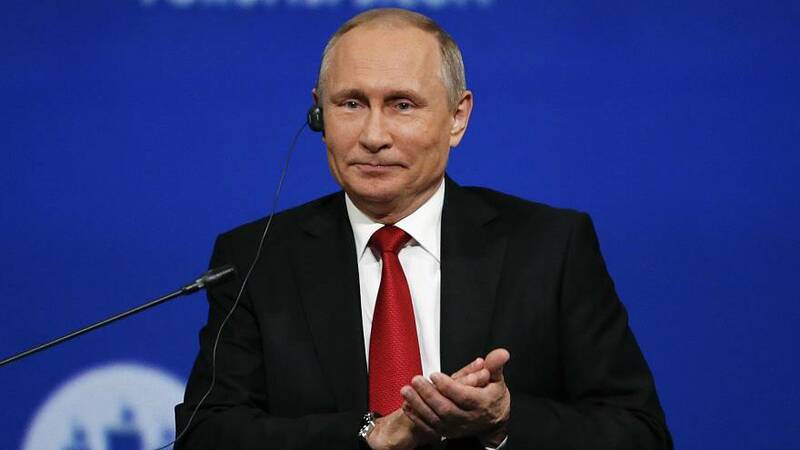 Putin has consistently denied the Russian state is behind any hacking, but this week he has said it was “theoretically possible” that “patriotic” hackers might have interfered in foreign elections. American intelligence services believe Russia was behind cyber-attacks to boost Donald Trump’s campaign and prevent Hillary Clinton becoming president. The House and Senate intelligence committees are investigating the alleged Russian interference and preparing to question officials in the Trump administration, including Jared Kushner, the president’s son-in-law and close adviser. Putin was put on the spot by Kelly the day before at the International Economic Forum in St Petersburg over the alleged hacking. The American journalist confronted him with claims that Moscow meddled to help Donald Trump. She said: “Mr Putin, this week you told a French newspaper that Russia is being accused of interfering with US elections by people that lost that election, who don’t want to admit defeat. Putin replied: “I’ve read those reports.